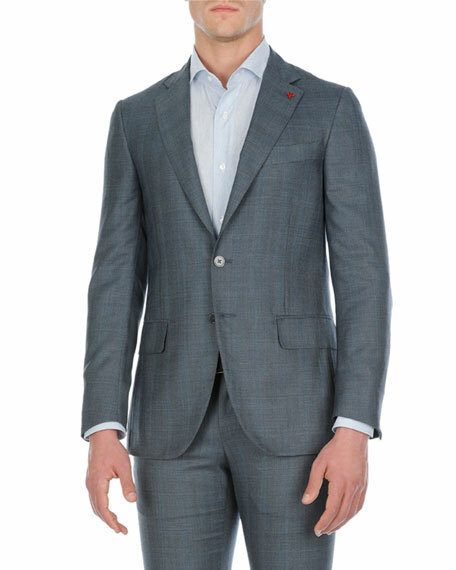 Isaia two-piece suit in textured tonal-plaid. 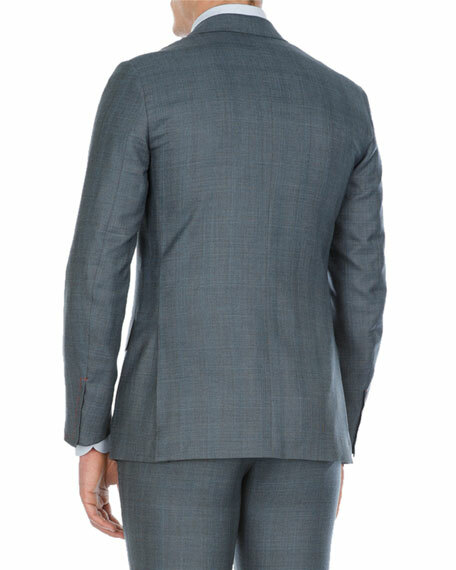 Ermenegildo Zegna two-piece suit in tonal plaid. Notch lapel; two-button front. Basted sleeves. Lightly padded shoulder. 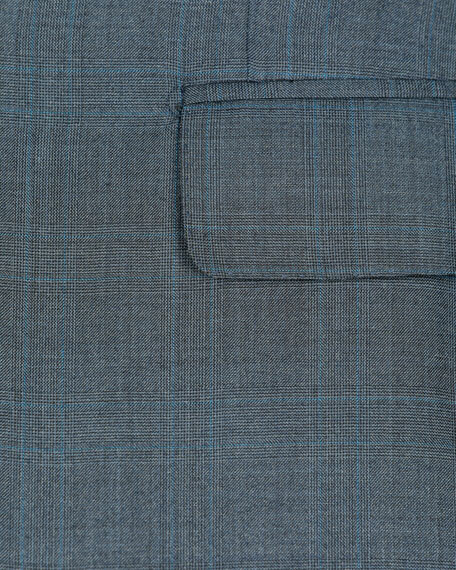 Front patch pockets; chest welt pocket. Trim fit. Double vent. Straight-leg pants. Trofeo?? wool. Made in Switzerland. Model's measurements: Height, 6'1"/185cm, Suit 40L, Shirt 15 x 35, Waist 32"/81cm, Inseam 34"/86cm. Isaia track suit in heathered knit. Stand collar; two-way zip front. Side slip pockets. Straight hem. Includes matching sweatpants. Wool/silk/nylon. Isaia track suit in heathered knit. Stand collar; two-way zip front. Side slip pockets. Straight hem. Includes matching sweatpants. Wool/silk/nylon. Made in Italy. 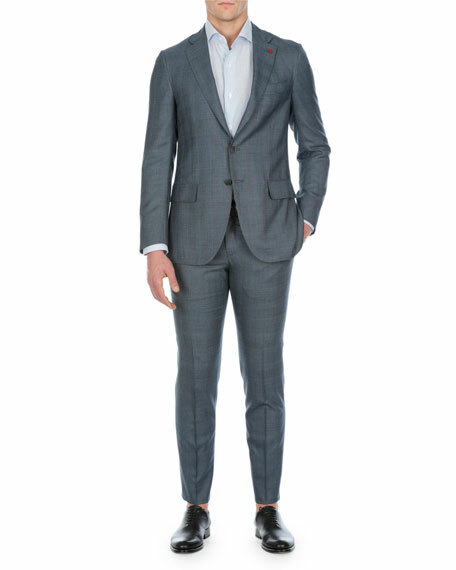 Model's measurements: Height, 6'1"/185cm, waist 30"/76cm, suit 38R, shirt 14.5x34, inseam 34"/86cm.